IMG_0867.JPG, originally uploaded by lisabagg. hahahaha from lisa hazen on Vimeo. This is another one from the holidays. Finn was going to make a video for Santa. But he just got silly, and Cormac thought this was HILARIOUS. Whenever Cormac gets fussy, I show him this video and he cheers right up. Finn's Creation at Space Center Houston from lisa hazen on Vimeo. I'm just now catching up on uploading all my old videos and photos from over the holidays. This is from when we went to Houston to visit Uncle Clintie and Aunt Sudi. 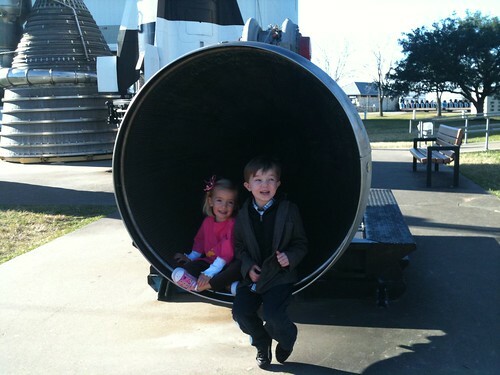 Clint and I took Anna and Finn to Space Center Houston. They had this cool exhibit where the kids could build robotics. Here is Finn's creation. I love how he is so (justifiably) proud of himself. 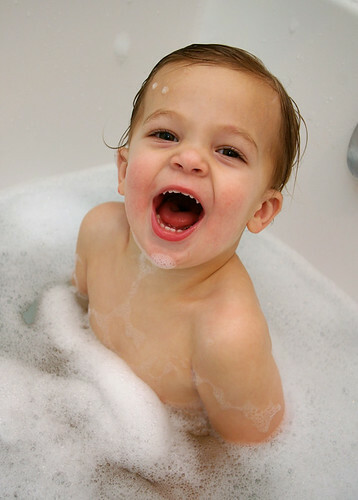 clean-corm, originally uploaded by lisabagg. We should totally be trying to get Disney to license this cuteness. IMG_0875.JPG, originally uploaded by lisabagg. We couldn't deny it any longer--this child needed an official haircut. He was so shaggy, with big chunks of hair missing during my failed attempts at trimming it myself. 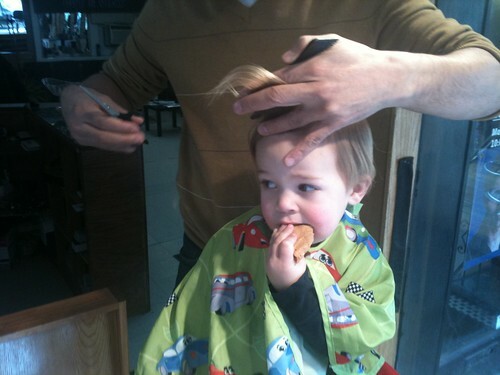 Here he is, bribed with a cookie, getting his locks chopped. He looks so handsome now--like a real big boy. Post-haircut photo forthcoming. IMG_0852.JPG, originally uploaded by lisabagg. Yes, I have been so bad about keeping this blog up-to-date! We've even been to Houston and back to visit the Texas Baggermen. 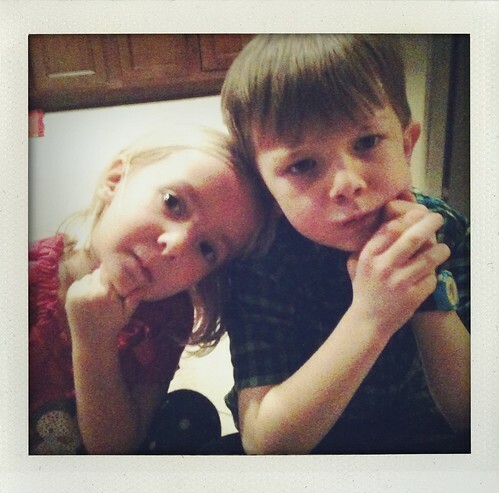 Here's Finn with Cousin Anna, striking a serious pose.